Fall is awesome (once you get past the fact that summer has exited stage left). Know what else is pretty cool? The Heart Desires Challenge #5. Check out this witty graphic! Reminds me of Brach’s candy peanuts. Remember those? Love the non-traditional take on Halloween, but I typically love most things that buck the trend. Here’s my fairly literal take, up close and personal. I cut my pumpkins, keeping the pieces together with washi and then carefully stamped the sentiments, all from Kaisercraft, most deconstructed via stamp surgery so I could make my own sentiment. The bottom one is from a Christmas set, available at The Heart Desires. The real deal, full size, in all its glory. Pumpkin dies are from Carta Bella and Essentials by Ellen, cut from Crate Paper Bloom, available at The Heart Desires. Background paper is from Indigo Hills set. Rose Gold Bazzill metallic paper provides the stem and edging. The black mini-leaves panel is stenciled and heat embossed. Love the Richard Garay Knit embossing folder. 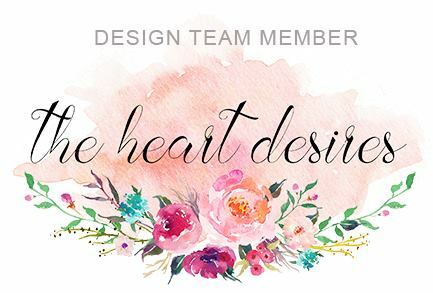 See the challenge post for links to products at The Heart Desires. Inside finished with some coppery-rose washi that echoes the outside elements nicely. And while you are there checking out the rest of our team’s inspiration, won’t you play along this month? We have a few new designers and lots of eye candy. You have until 10/26 to show us what you got! So creep on over! And creep it real, folks.